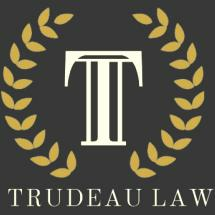 Based in Seattle, Washington, Trudeau Law is a law firm focusing on criminal defense and immigration law. As the son of a first-generation immigrant to the United States, attorney I bring a passion to the practice of immigration law. My law firm, Trudeau Law, helps bring families together, and helps people change their immigration status so they can remain in this country. Besides my private practice, I regularly volunteer my services with local need-based non-profit organizations that serve local communities with immigration assistance. People charged with a crime in Washington state could be facing a lengthy prison sentence. Criminal charges carry a special problem for non-citizens, who could lose the chance to apply for citizenship. You need a law firm with experience in both criminal and immigration law, so your case can be resolved with both issues in mind. At Trudeau Law, I will examine the evidence in your case and work toward the best possible resolution, potentially including dismissal or reduction of the charges. Prior to forming my law firm, I worked in two prosecutor’s offices, so I understand how the prosecution thinks. My law firm can help reunite you with your family living overseas and protect your rights after an arrest.